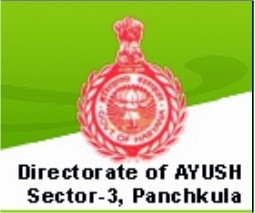 District Health & Family Welfare Society Ayush / DH & FW Yamunanagar Haryana has invited application for filling up the Ayurvedic / Homeopathic Doctor / Medical Officer / MO / Pharmacist / Paramedical Staff posts. These appointments are purely on contract basis. 1. The above posts are on contract basis up to 31.03.2015. 4. All the origmal documents should be produced by me candidate at the time of interview. 5. Selection of the candidates will be subject to the conditions of verification of documents. 6. Application along with a tee of Rs.200/- for each post in form of crossed DD in favour of Dist. Healty & Family Welfare Society AYUSH (FP) Yamuna Nagar payable at Yamuna Nagar should reach well in time. No application will be entertained without proper fee.